We’d love your help. 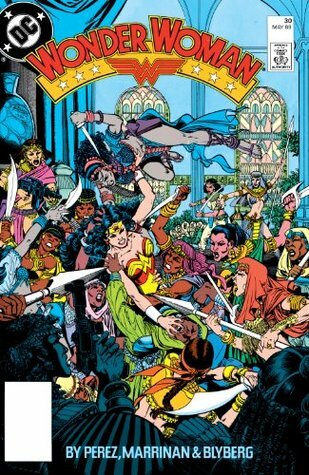 Let us know what’s wrong with this preview of Wonder Woman (1987-2006) #30 by George Pérez. Diana’s imprisoned by a long-lost tribe of Amazons in Egypt, while the Cheetah lies sick in bed. To ask other readers questions about Wonder Woman (1987-2006) #30, please sign up. "So, Diana of Themyscira, all I have heard about you is true." Reading a comic from the late 80's! So much talking. GET. TO. THE. POINT. Though, it's ironic how Diana is in the Middle East, which is where the U.S.A. has been fighting off-and-on.